METRO is an internationally leading specialist in wholesale and food retail. At its core, the group consists of the sales lines METRO/MAKRO Cash & Carry and Real. METRO/MAKRO Cash & Carry is active around the world in the self-service wholesale trade - with 760 wholesale stores in 25 countries. Real operates more than 280 hypermarkets throughout Germany, making it one of the country’s leaders in the hypermarket business. Metro aims to sign a deal to sell its loss-making Real hypermarkets chain in 2019. The group further includes delivery specialists which give METRO a worldwide presence and a strong position in the food service distribution (FSD) sector. The portfolio of the new METRO also includes the start-up network METRO Accelerator powered by Techstars, which supports entrepreneurial teams from around the world in the development of digital solutions. 1. More focus on Wholesale Business: At the end of the financial year 2018, Metro decided to sell their hypermarket business which was struggling and posted a loss and sales slide by 7.2% in the quarter ending March, 2018. Real has 282 stores and a staff strength of 34,000 employees, sought to build up an e-commerce operation in recent years, with online orders now accounting for 2 percent of sales. It has also clashed with trade unions when trying to implement lower pay for their new hires. Its total sales fell by 3.1 percent to 7.2 billion euros in the financial year of 2016/17. 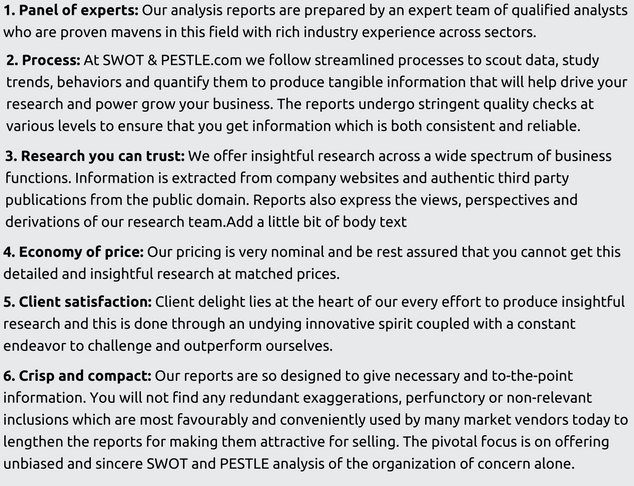 This move constitutes an important step in their project of fully focusing on their wholesale business. They have put in place the best conditions to give Real a successful and independent future on its own. Besides the Food Lover concept and the strong online presence, securing competitive cost structures was an important and groundbreaking step for Metro. By deciding to search for a new owner for Real who will be able to provide better support for the business, the company set the course for becoming a pure wholesaler. Aided by the consistent optimization of the portfolio and strategic acquisitions, METRO will be able to concentrate on future targets. 2. Profile Enhancement towards Hospitality Sector: Metro has enhanced its profile even further and they have started to focus more consistently on the customer groups hotels, restaurants and catering companies (HoReCa) as well as independent traders. Their focus on the hospitality sector is expected to continue in the years to come. In this area we see a trend, because the global hospitality sector is growing and will offer further potential for their customers and them in the future. Also favourable economic conditions and higher incomes are changing consumer behaviour across many countries. The clear focus on their HoReCa customers is also reflected in the modernisation of their store-based business which is very much visible in the reconstruction of the METRO wholesale store at their home base in Düsseldorf. In order to save hospitality operators time for their purchases, the delivery routes have been optimised and the product mix has been tailored to meet their needs more efficiently. 1. Digitalization to improve the shopping experience of customers: Digitization is helping retailers improve customer experience as it allows for a personalized shopping experience. It helps streamline the process and allows the interaction between the customer and the store owner to increase manifold. Metro has come up with a strategy for 2019 to offer long tail assortments for its dedicated business units. This strategy focuses on B2B market having collaboration with international merchants and capitalizing on Metro’s unique customer base. As part of digitalization practices launch, Metro’s IT unit will be focusing on their digital transformation by developing IT infrastructure and processes and by implementing innovative customer-facing solutions like having faster checkout and a driver app which will have a paperless approach, higher efficiency and better service level. One example of new IT process is MISHOP which is fast and cost-efficient ordering process with enriched customer experience and helps in providing better customer insights. 2. Transformation to omnichannel wholesale: Wholesalers need to keep their operations in step with evolving e-commerce trends and increasing e-commerce customer demands else their margins from direct-to-consumer (D2C) channels risk falling short of expectations. Metro’s digital solution M-Shop is the cornerstone of its Omni channel strategy for wholesale trade. The online shop is an extension to both store-based retail and METRO Wholesale’s delivery business and allows our customers to combine our sales channels in the way that best suits them. Artificial intelligence and algorithms are used to analyze the past shopping behavior of customers and to forecast sales trends, which allow METRO to develop targeted offers that exactly match the needs of its business customers. 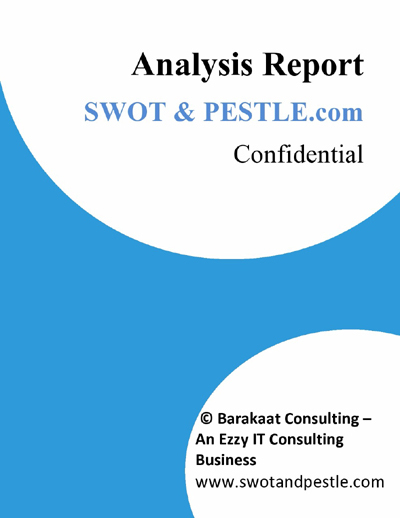 Metro AG SWOT and PESTLE analysis has been conducted by Akansha Choudhary and reviewed by senior analysts from Barakaat Consulting. 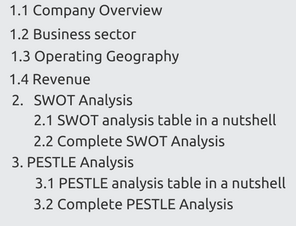 Copyright of Metro AG SWOT and PESTLE Analysis is the property of Barakaat Consulting. Please refer to the Terms and Conditions and Disclaimer for usage guidelines.